Join FTSI at the June NCR Innovation Forum in LA! FTSI, the largest independent provider of ATM and Branch services for credit unions and community banks in the Western U.S., is excited to attend this year’s NCR Innovation Forum in downtown Los Angeles. The forum provides a great opportunity for banks, credit unions, and partners (like FTSI) to come together and learn how to transform customer experiences in both physical and digital channels. It’s also the best place to learn about NCR’s new, cutting edge products that will wow your customers. FTSI continues to be recognized for its unique, collaborative, and educational approach by NCR and various credit union and banking partners. 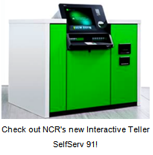 NCR is the global leader in consumer transaction technologies and enables nearly 550 million transactions daily across retail, financial, travel, hospitality, telecom & technology, and small business.